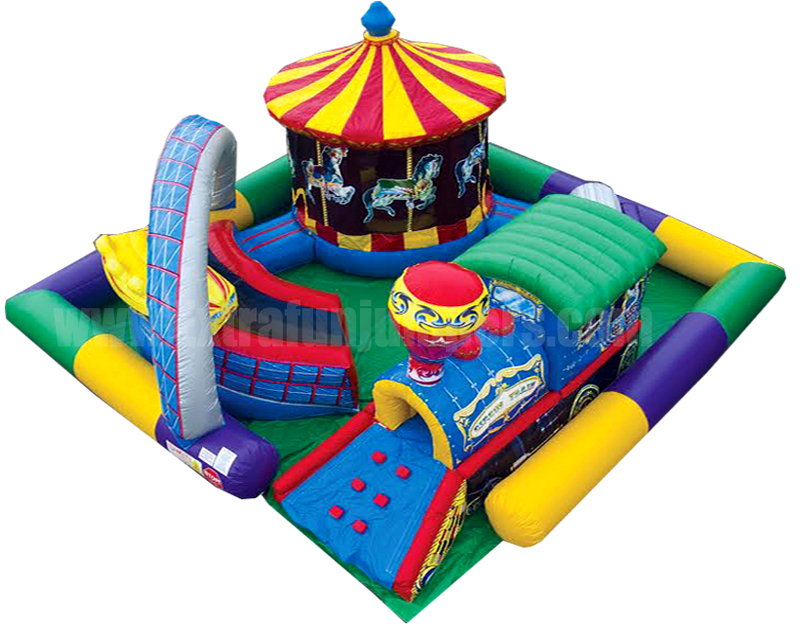 Here are several of your favorite inflatables squeezed them into a fantastic amusement-park-themed environment, a vividly colorful wonderland that your littlest patrons are sure to enjoy. We Recommend this game for kids 8 and under. 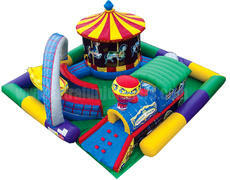 Customer Needs 2 Seperate outlets for this inflatable.